Cognitive development involves the mental processes that enable children to learn. These processes include memory, concentration, perception and imagination. Children begin developing by responding to stimuli in their environment as infants. By the time a child is 5, she begins integrating prior knowledge with formal education. Parents can support their child's development with a variety of activities. Five-year-olds learn a lot through both structured and unstructured play. 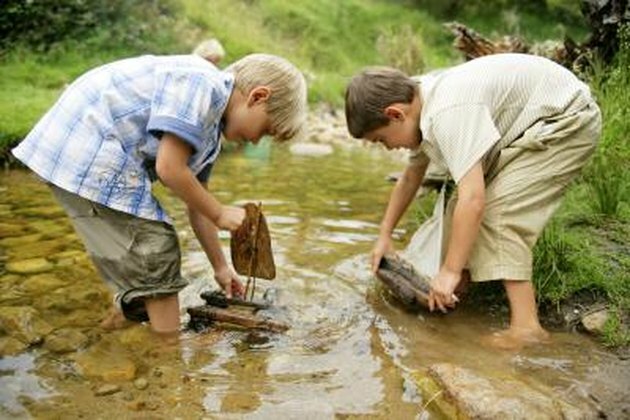 Children at this age develop cognitively when participating in free play with peers. They enhance their imagination as well as learn conflict resolution skills. This is especially true for children who have no siblings or who have little exposure to other children outside the home. Structured games like "Concentration" are effective for improving memory. Parents or caregivers can use cards with pictures, or make their own with index cards and markers. The adult places a few cards face down and asks the child to turn one over, view the picture, and then choose another card that matches it. Children learn how to eliminate choices by remembering the pictures on the cards. Children do not have to be talented artists to learn from creative endeavors. Art projects can help 5-year-olds express themselves while they demonstrate how concepts appear to them. Parents can ask their child to draw their family, house, pets and toys. 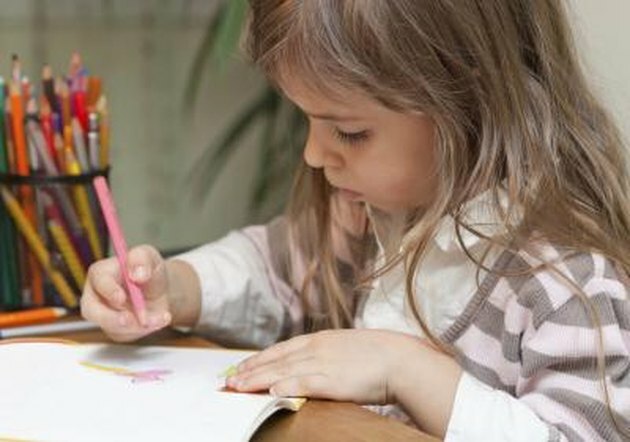 After they finish, the parent asks questions so children can explain the ideas behind their drawings. Children develop language and vocabulary, which augment cognitive development, through this process. While most 5-year-olds are just beginning to learn how to read, they learn and develop when listening to adults read. When parents or teachers read to children, they should use specific strategies to keep them engaged. 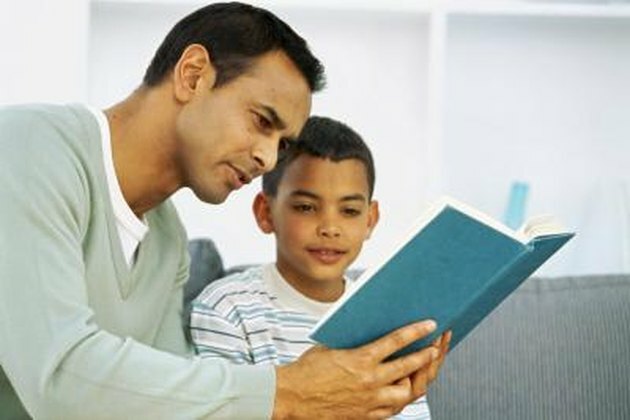 For example, when reading aloud, adults can share their own prior experiences that are similar to those in the book to show children how to make connections to literature. This helps children learn how to think critically. Hands-on activities are effective for young children, especially when they are learning about their environment. 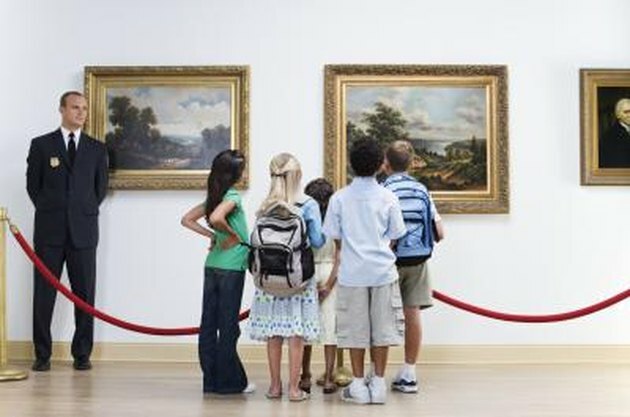 Nature walks and visits to museums and zoos help children get an up-close look at things they have heard adults read or talk about. These types of activities satisfy the natural inquisitiveness that most 5-year-olds have while exposing them to new visual reinforcement.